Gustav Holst’s always popular and captivating orchestral suite The Planets is the featured work on a program of sonic masterpieces as the Asheville Symphony performs its third concert of the season Saturday, November 21. The musicians of the Asheville Symphony Orchestra will have a chance to shine during both Holst’s ode to the cosmos and Haydn’s Sinfonia concertante, Op. 84, which will be the opening piece on the program under the direction of ASO Music Director and Conductor Daniel Meyer. The concert will begin at 8 p.m. at Thomas Wolfe Auditorium. The Planets requires the use of a large orchestra – one of the largest that ASO audiences will hear this season – to reflect Holst’s fascination with the scope of our solar system. 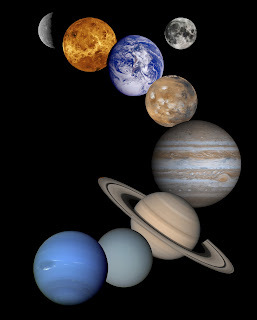 Each planet, with the exceptions of Earth and Pluto (which at the time Holst composed the work 100 years ago had yet to be classified and then de-classified as a planet) is portrayed in the suite. For its monthly program, the Asheville Symphony Guild will host Meyer and astronomer Bernard Arghiere for a discussion about The Planets – both the musical work and the planets themselves – starting at 10 a.m. on Thursday, Nov. 19, at St. Mark’s Lutheran Church in Asheville. The program is free and open to the public. Haydn’s Sinfonia concertante, Op. 84, which was composed as a unique quartet with orchestra, features concertmaster Jason Posnock, principal oboe Alicia Chapman, interim principal cello Franklin Keel, and principal bassoon Michael Burns.